This 9" natural wood finish paint paddle can help "stir" up some more brand recognition! This American-made paint paddle measures 5/32" x 1 1/8" x 9" and has a natural wood finish design. 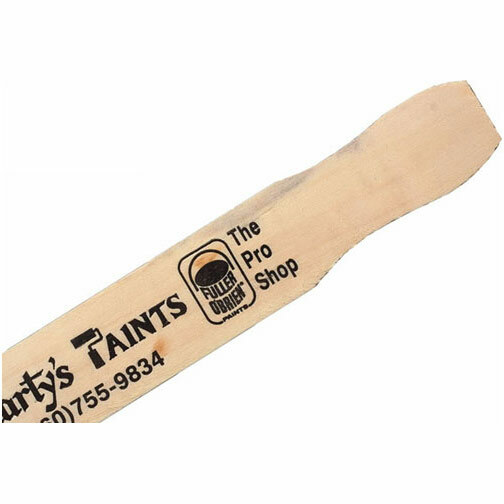 This quart-size painter's tool has a large section for you to add on a personal message or your company name or logo through the silkscreen capability. This promotional paddle can handle all of those big projects you want to complete, so order today! Size: 1.125 " x 9 " x 5/32 "